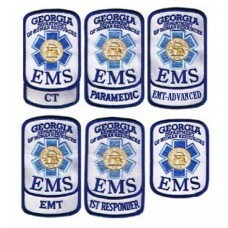 Premium Georgia Department of Human Resources EMS (Qualification Specific) standard shoulder patch (standard size: 3 x 4). White Twill is beautifully outlined by Royal Blue, Sky Blue, and Yellow Gold Thread. 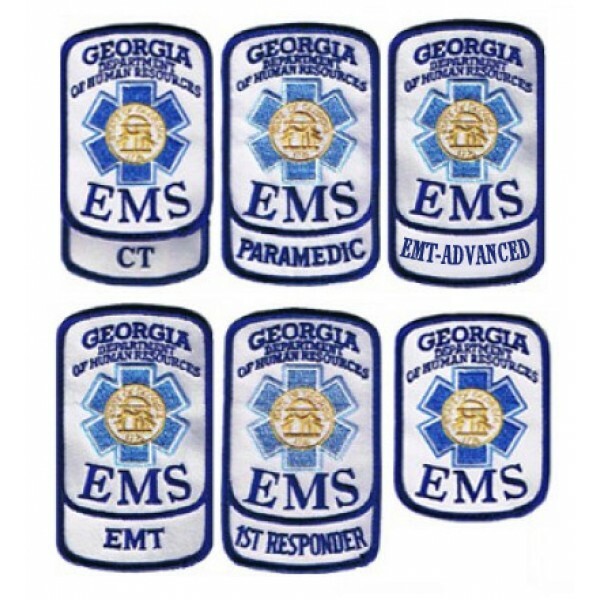 Typical placement (for most departments is right shoulder) Perfect for Workrite® Nomex™ Fechheimer (Flying Cross) or Southeastern Shirt Uniforms. Contact T&T Uniforms for "Bulk" order discounts.